Fresh off the back of their 3rd successive NODA Award for Best Youth Production, Manchester Musical Youth return to Z-arts with a high energy classic based on the classic film starring Kevin Bacon. 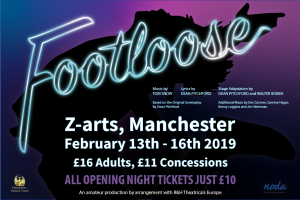 ‘Footloose’ follows the story of Ren McCormack, an upbeat Chicago teen who moves to small town Bomont in which, as a result of the efforts of a local minister dancing and rock music have been banned. Ren is instantly smitten with the ministers daughter Ariel and we follow their relationship and those of their closest friends as Ren tries to shake up the town with his energy, his passion and his dance. 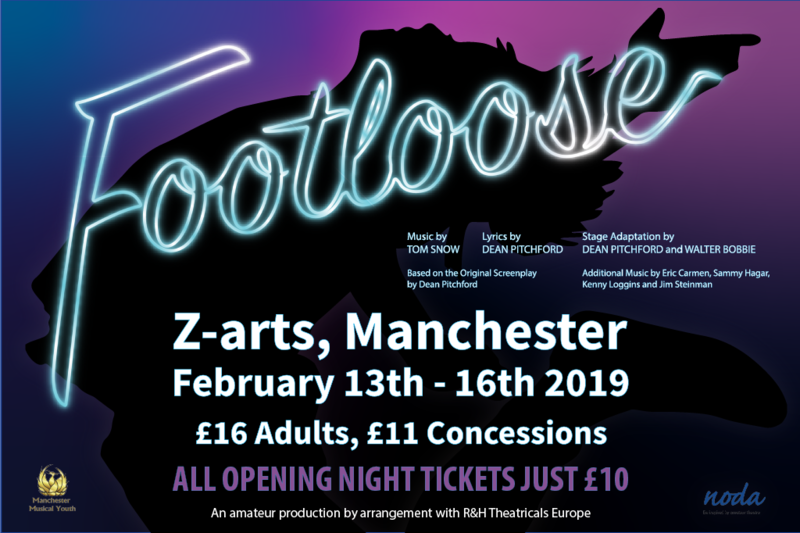 February 13th – 16th 2019, 7:30pm at Z-arts, Manchester. 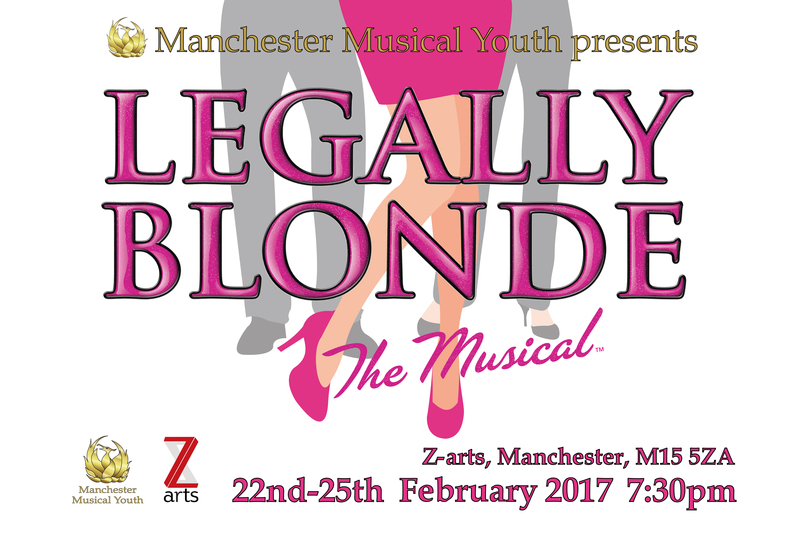 This fantastically hilarious show is one for the whole family, so get down to Z-arts and let your “Freak Flag” fly! 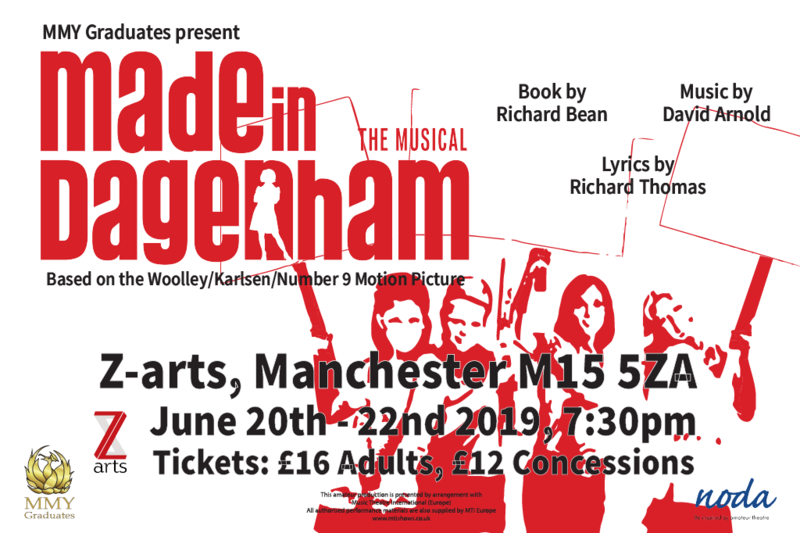 Following last years hugely successful runs of “Rent” and “Guys and Dolls” MMY Graduates return to Z-arts this June with the funny, touching and timeless production, “Made in Dagenham”. 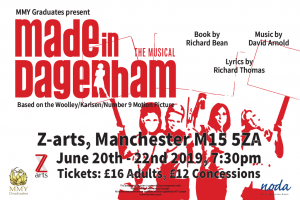 Made in Dagenham shows how ordinary people can do extraordinary things when they stand together. 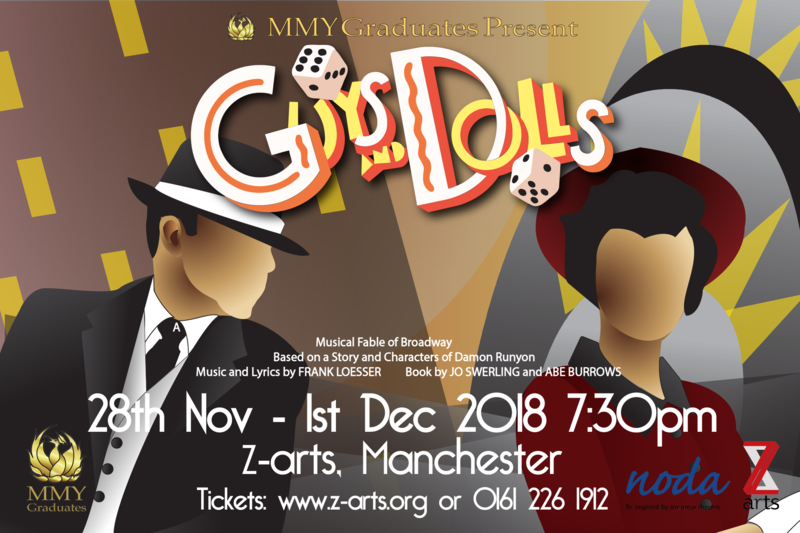 MMY Graduates returned to Z-arts with a touch of class with the 1950s musical comedy Guys and Dolls. 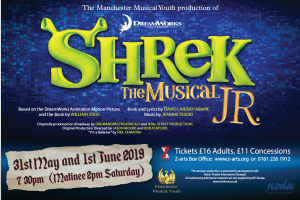 Manchester Musical Youth are extremely excited to present this fabulous show, by exclusive licence. 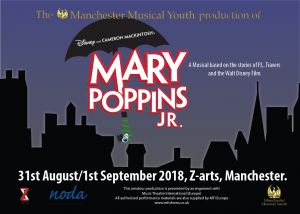 A musical based on the stories of P.L. Travers & The Walt Disney film. 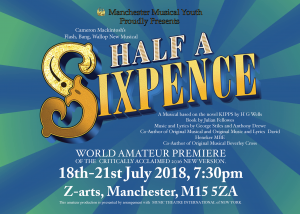 Manchester Musical Youth were unbelievably excited to return to Z-arts with an exclusive amateur premiere of the Flash, Bang, Wallop New Musical ‘Half a Sixpence’. 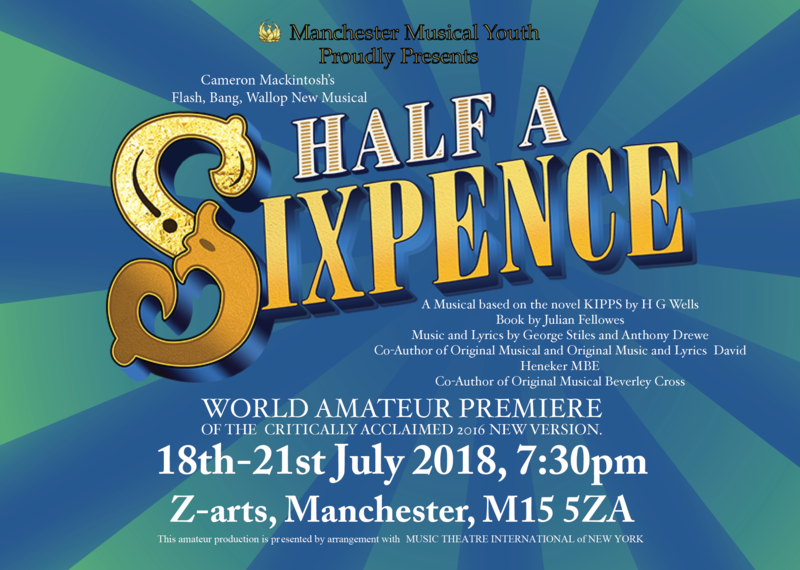 Fresh after it’s recent success in the West End this exciting new rewrite of the popular classic includes some fabulous new songs such as ‘Pick out a Simple Tune’, as well as the well known anthems such as ‘Flash, Bang, Wallop’ and ‘Half a Sixpence’. 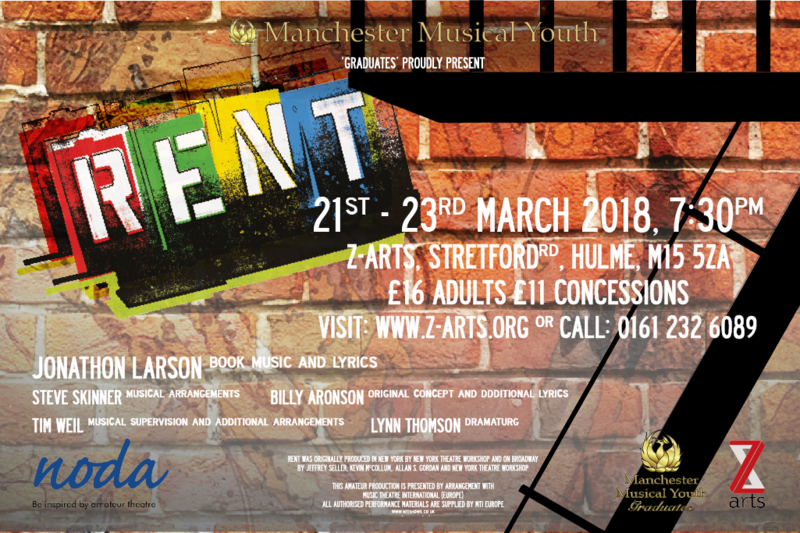 Rent was MMY’s Adult group, ‘Graduates’, premiere production, and in true MMY style it was a smash success! Prize for Drama, RENT has become a pop cultural phenomenon with songs that rock and a story that resonates with audiences of all ages. 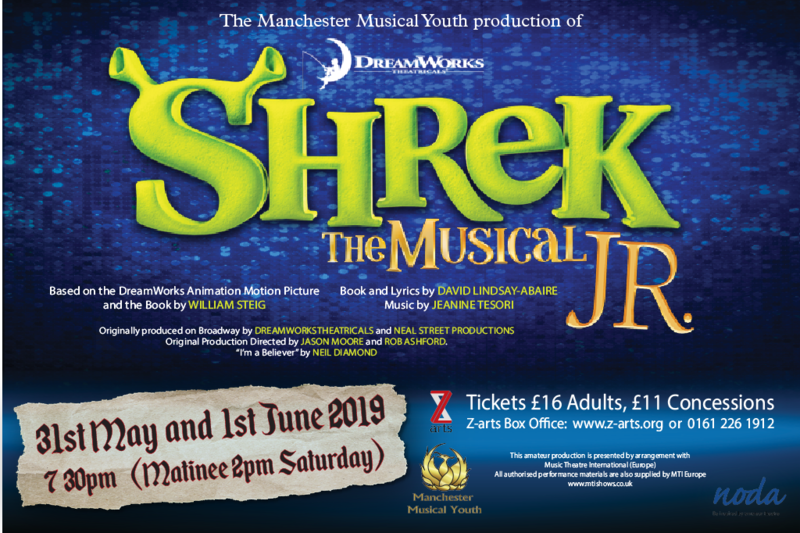 This fabulously funny production received 5 star reviews. See our Gallery for images of the show and read the NorthWestEnd review here. 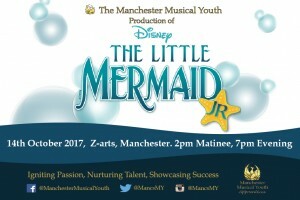 Manchester Musical Youth ‘Apprentices’ presented their first full production with a journey “under the sea” with Ariel and her aquatic friends in Disney’s The Little Mermaid JR. 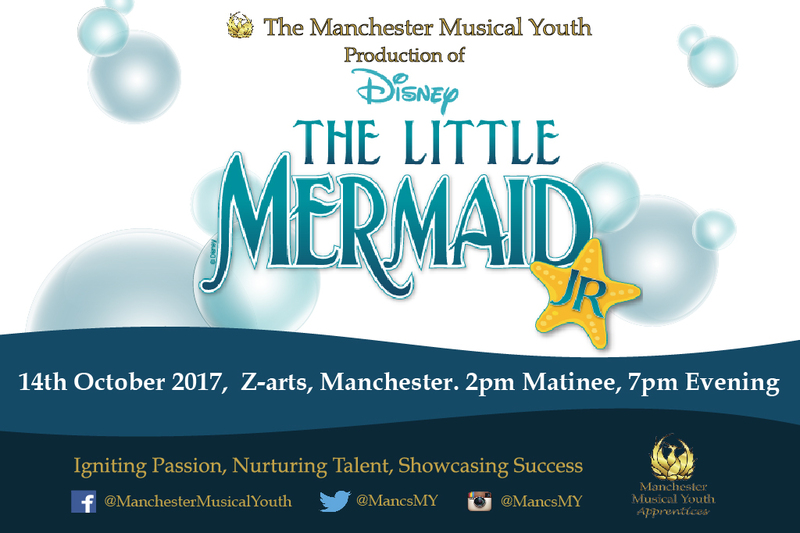 Adapted from Disney’s Broadway production and the motion picture, featuring the enormously popular Academy Award-winning music and delightfully charming book and lyrics, Disney’s The Little Mermaid JR. is an enchanting look at the sacrifices we all make for love and acceptance. Visit our gallery to see highlights from the show. 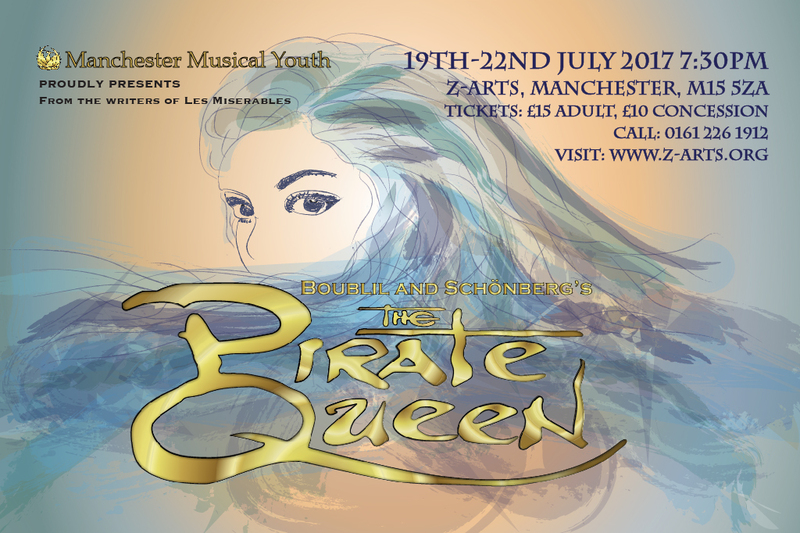 From the writers of Les Miserables and Miss Saigon, “The Pirate Queen” is an epic musical adventure celebrating the legendary Irish Chieftain Grace O’Malley. Based on her real-life story, Grace is a compelling, inspiring heroine who led an extraordinary life as a pirate, lover and mother in 16th-century Ireland. To protect her people and save her one true love, O’Malley must confront the one woman more powerful than her — her fierce rival, Queen Elizabeth I of England. Combining classic storytelling and a sweeping score, with the powerful, vibrant traditions of Irish dance and swashbuckling sword fighting, “The Pirate Queen” is a modern musical event that is both an historic romance and a timeless epic. Book by Alain Boublil and Claude-Michel Schönberg and Richard Maltby Jr. Based upon the book `Grania – She King of the Irish Seas’ by Morgan Llywelyn Music by Claude-Michel Schönberg Lyrics by Alain Boublil, Richard Maltby Jr. and John Dempsey Orchestrations by Julian Kelly. We were fortunate enough to spend the evening with Claude- Michel Schönberg himself for a masterclass in preparation for this production, a truly memorable evening with a legend of musical theatre. 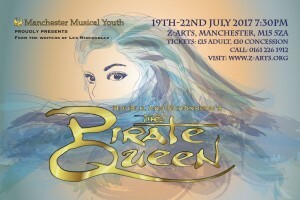 To see highlights of The Pirate Queen visit our gallery. 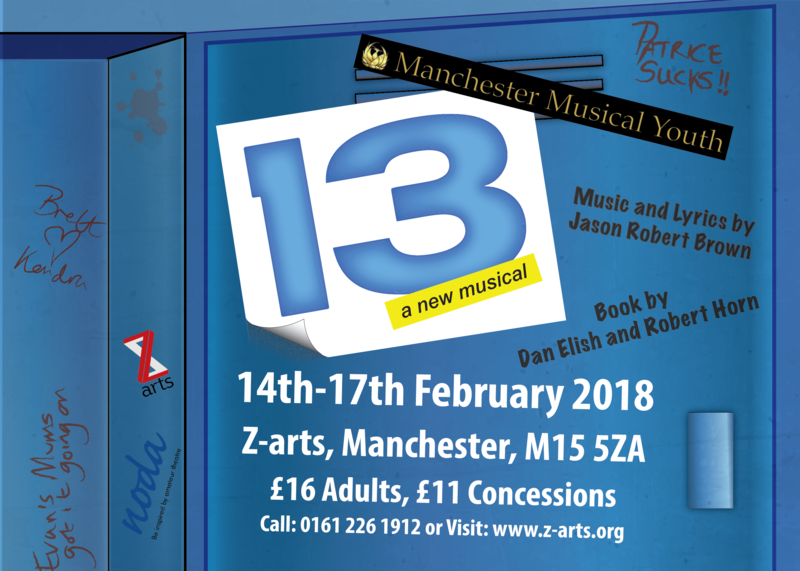 Following our sell out run of Les Misérables School Edition, we returned to Z-arts in February to present a fabulously fun international award-winning musical based on the adored movie, Legally Blonde. 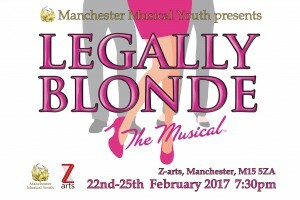 The Musical, follows the transformation of Elle Woods as she tackles stereotypes, snobbery, and scandal in pursuit of her dreams. Equal parts hilarious and heart-warming, this musical is so much fun it should be illegal! 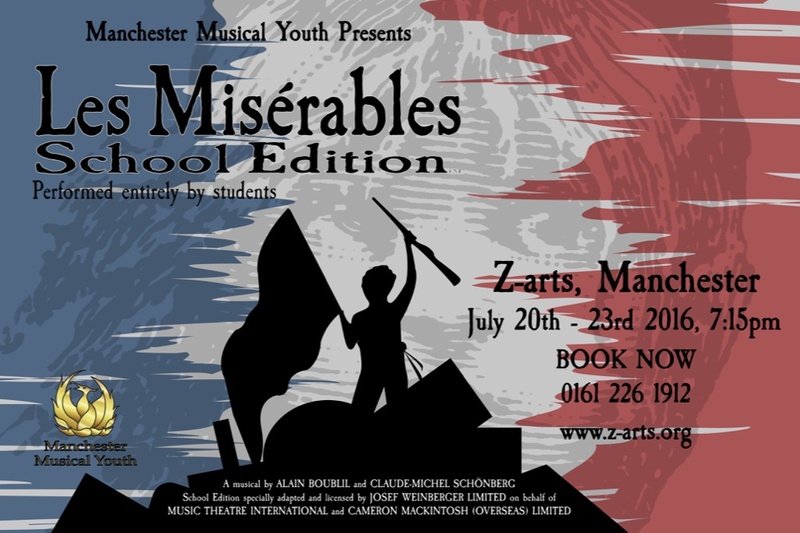 Our most successful production to date, Les Misérables, stunned sold out audiences over 5 shows including a Saturday matinee. 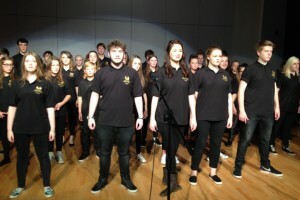 This incredible musical celebrated 30 glorious years this year and we are very proud of how our wonderful cast performed this legendary score featuring well-loved songs such as ‘I Dreamed a Dream’, ‘On My Own’, ‘Empty Chairs at Empty Tables’, ‘Bring Him Home’, ‘Do You Hear the People Sing’ and ‘One Day More’. Images from the show can be found in our Gallery and if you were unlucky enough to miss the show, read what the critics had to say here. 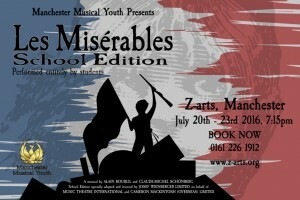 Manchester Musical Youth (MMY) returned to Z-arts for their third production. 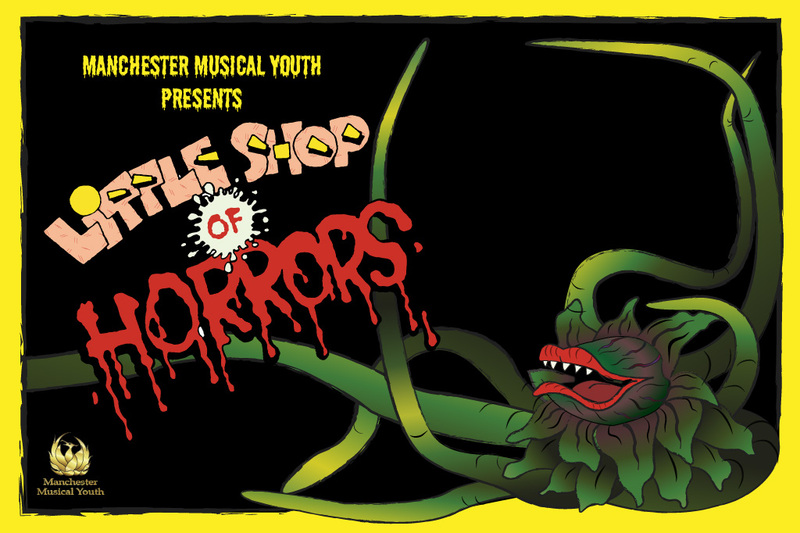 In Alan Menken and Howard Ashman’s musical we meet Seymour, a down-and out skid row floral assistant who becomes an overnight sensation when he discovers an exotic plant with a mysterious craving for fresh blood! 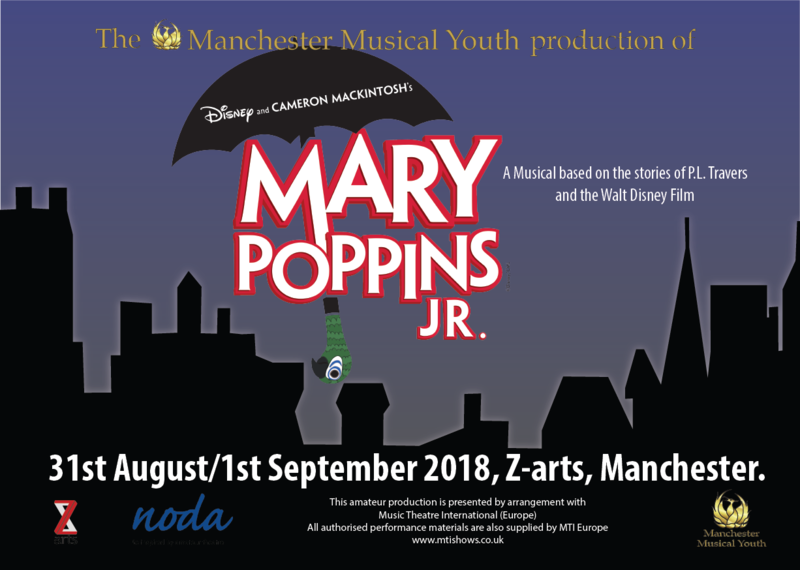 This uproarious musical is brought to life by a cast of over 50 of Greater Manchester’s most talented young performers. The show was a huge success with sell out performances through the weekend. Check back soon as we update our gallery with images from the show. July 22nd – 25th 2015, 7:30pm at Z-Arts, Hulme, Manchester. 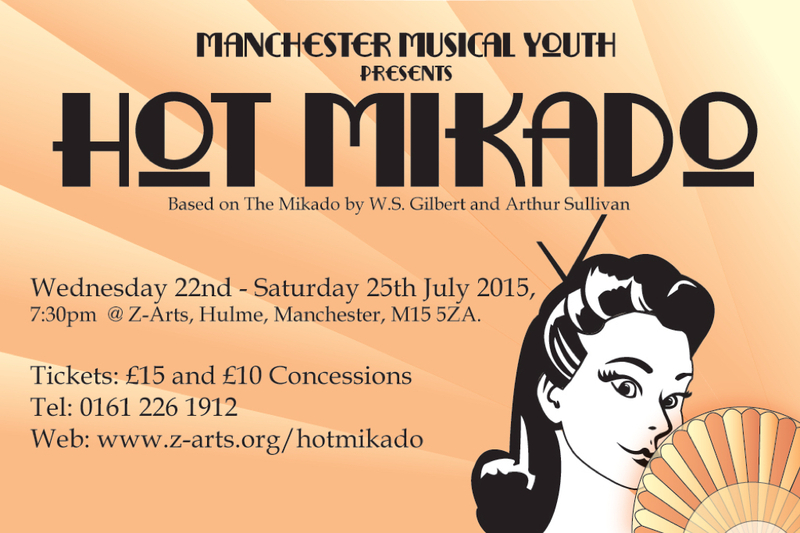 Summer 2015 saw Manchester Musical Youth’s second production, Hot Mikado. This hilarious 1940’s-style update of a Gilbert and Sullivan favourite was a big hit and showcased the diverse talent and flexibility within our cast. Take a look at the Gallery for shots from the show. 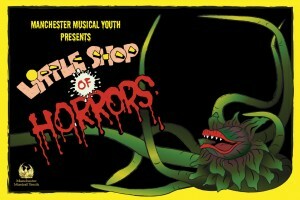 Manchester Musical Youth’s premier production, Jekyll and Hyde, proved a huge success with sell out audiences in March. We were hugely proud of the entire cast and team on a dark and energetic performance that attracted high praise from a strong following. We thank you for your support. 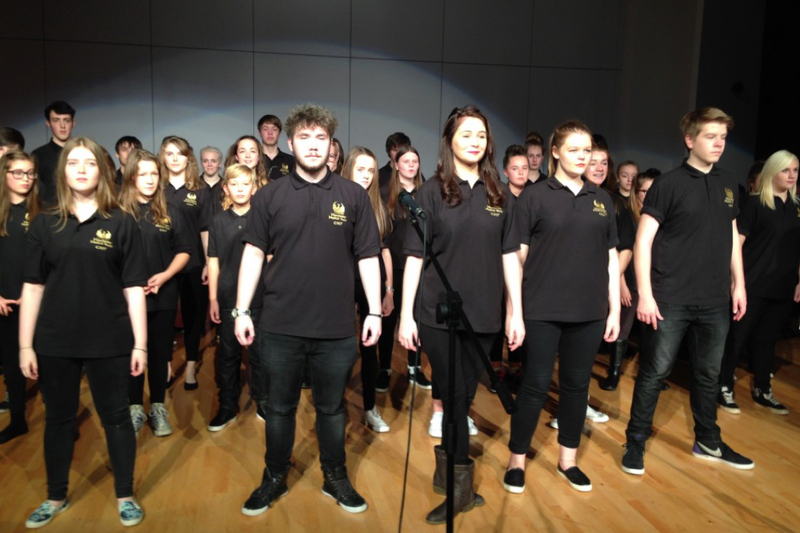 An evening of Musical Theatre favourites to celebrate the rise of the phoenix!